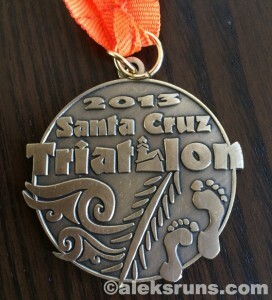 So here we are again, wrapping up a year — and it seems like only yesterday when we wrapped up 2012. What’s up with that? 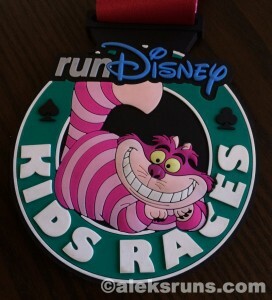 I guess it’s true what they say: time flies runs fast when you’re having fun. 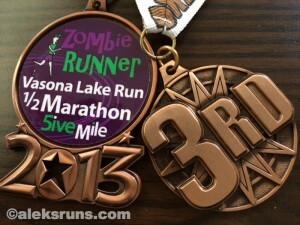 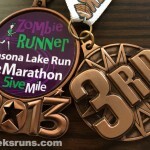 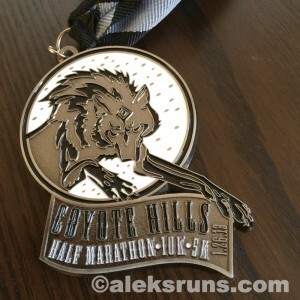 January 26, 2013: Coyote Hills Half Marathon February 2, 2013: Dirty Girl Run, San Francisco February 23, 2013: Vasona Lake Run Half Marathon: A small local race; took 3rd in my age group. 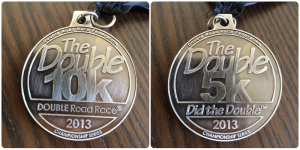 March 10, 2013: 408k Race to the Row: Fabulous shopping at Santana Row post-race. 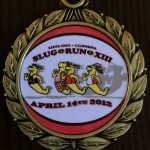 If you live in the 408, it’s one not to miss! 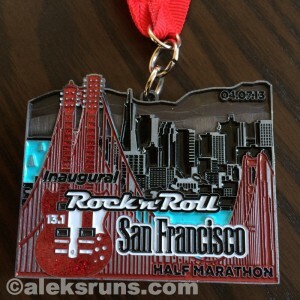 March 17, 2013: LA Marathon April 7, 2013: San Francisco Rock’n’Roll Half Marathon: One of my favorite medals (and races) this year! 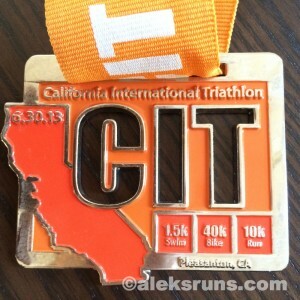 April 14, 2013: U.C.S.C. 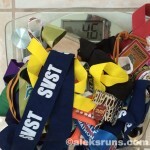 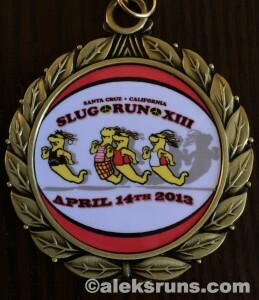 Slug Run – 10K, Santa Cruz: This was a tiny, inexpensive local race that had no finisher medals… but I won my age group, so I got this one: April 20, 2013: Silicon Valley Sprint Triathlon: My first triathlon! 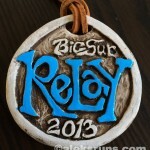 April 28, 2013: Big Sur International Marathon. 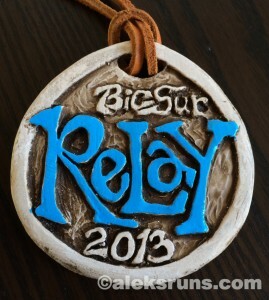 Ran the last 17-ish miles of the course as part of a relay team and can’t wait to run the full in 2014! 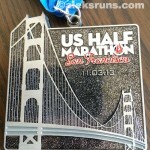 May 11, 2013: Mermaid Run series, Sirena18 East Bay June 8, 2013: See Jane Run Half Marathon, Alameda: A very cool (and large!) 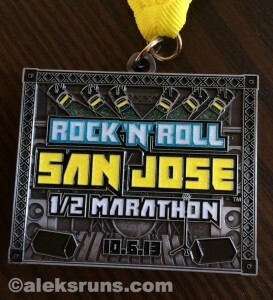 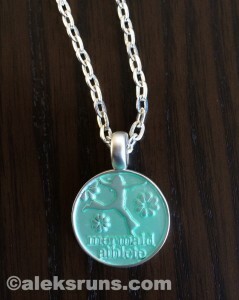 medal that can be clipped to a backpack or bag. 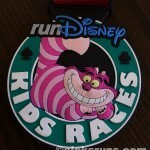 The kids one was a mini version, very cute! 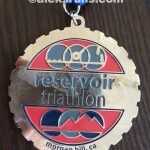 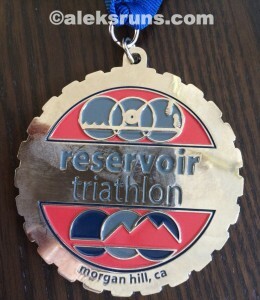 June 16, 2013: Morgan Hill Sprint Tri “The Reservoir Triathlon” at UVAS June 30, 2013: California International Triathlon (Olympic distance): My first Olympic distance triathlon. 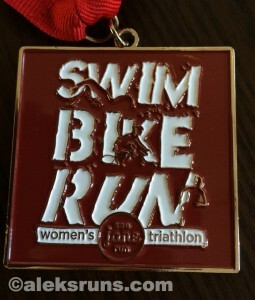 It was 100 degrees out that day, but I loved every minute of it! 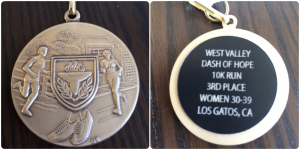 July 21, 2013: West Valley Dash of Hope 10K: Small local race that didn’t have finishers’ medals, but I took 3rd in my age group and they gave me this one. 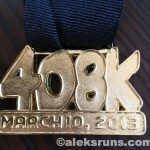 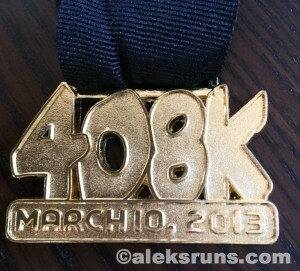 Ran my first (and only) sub-50 minute 10K, too. 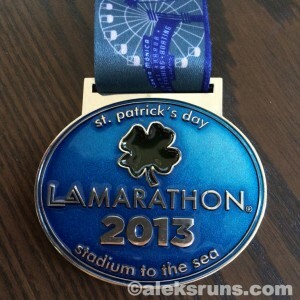 Good fun all around! 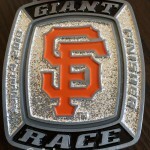 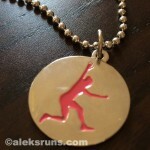 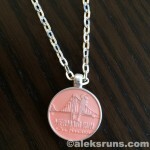 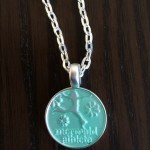 August 4, 2013: The Giant Race: Giants fans probably love this medal, it’s a replica of the team’s championship rings. 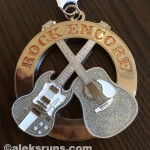 Too much bling, if you ask me! 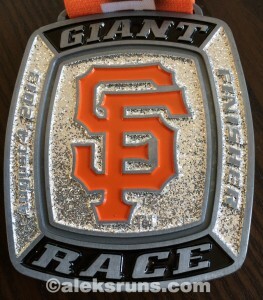 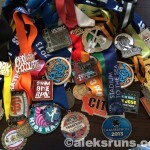 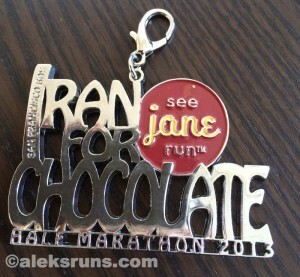 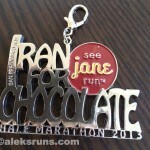 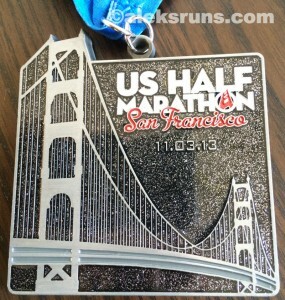 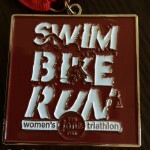 But the race is one of my favorites, mostly for its finish-line experience inside AT&T Park. 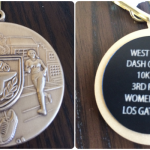 August 24, 2013: Double Road Race, San Jose (10K + 5K): Another double-sided medal, because you run two races in one: a 10K first, followed by a 5K after a brief recovery period. 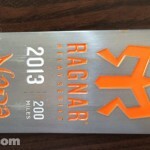 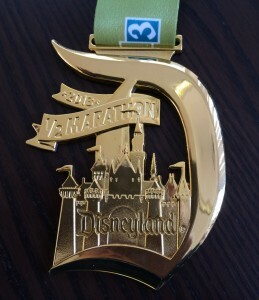 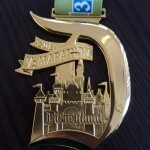 September 1, 2013: Disneyland 1/2 Marathon: If I ever consider a career as a pimp, I will wear this: And for the Kids Run, a fun one: September 20-21, 2013: Ragnar Napa Valley: A bottle opener, genius! 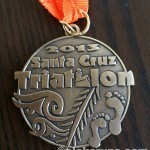 September 29, 2013: Santa Cruz Triathlon: My favorite race of the year and my favorite medal: smallish, traditional, yet hard-earned and draped around my neck with care by a thoughtful volunteer! 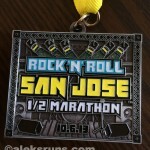 October 5, 2013: See Jane Run Women’s Triathlon October 6, 2013: San Jose Rock’n’Roll Half Marathon Then got this thing in the mail for completing two Rock ‘n’ Roll events in a year: November 3, 2013: US Half Marathon: Another blingy one, but quite pretty: November 10, 2013: Mermaid Series, Sirena10, San Francisco: Ran hard for this one, a pendant. 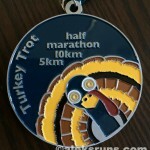 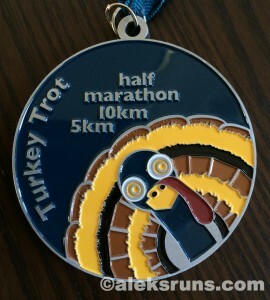 November 28, 2013: Zoom Turkey Trot Half Marathon: Wrapped up the year with a half marathon PR, but didn’t get a medal (they had ran out two minutes earlier). 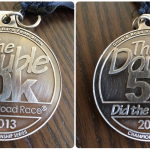 I got it in the mail earlier this week: And that’s all for 2013! 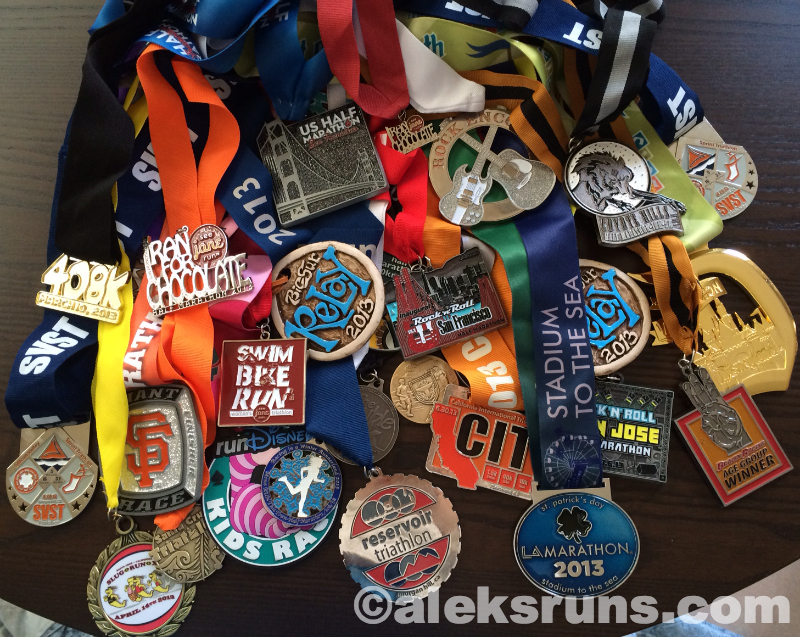 It’s been a fantastic year — and here’s to an even better 2014!